Invisible in their own homeland. About half of Alaska’s residents live in traditional Dena’ina territory, but there is little awareness of the indigenous people who have called Southcentral Alaska home for more than 1,000 years. Meet the Dena’ina through film, life-size re-creations, images, hands-on learning stations, audio and original artifacts, as well as a rich series of special events. The Pratt Museum is proud to be the first site to host this traveling exhibition, and the only venue outside of Anchorage to feature original artifacts. 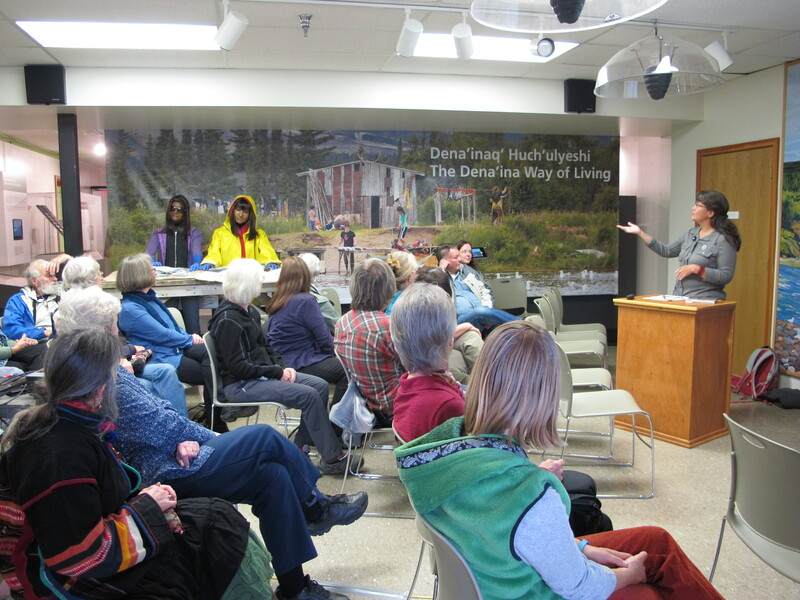 The exhibition, Dena’inaq’ Huch’ulyeshi: The Dena’ina Way of Living, was organized by the Anchorage Museum. Major support for traveling the exhibition has been generously provided by the Rasmuson Foundation. Additional support for the Pratt Museum installation has been provided by Apache Alaska Corporation, The CIRI Foundation, Ninilchik Traditional Council, Seldovia Village Tribe, Alaska State Council on the Arts, National Endowment for the Arts, and the City of Homer.